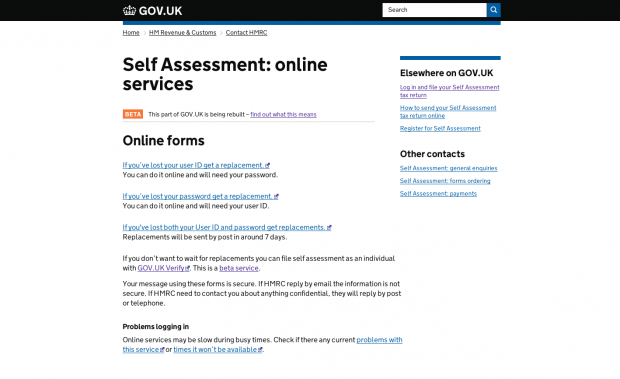 We posted in December about our plan for a trial use of GOV.UK Verify to allow people to access HMRC’s self-assessment service. We’re doing the trial on a relatively small scale over a limited period (ending at midnight on 27 January) so we can learn about how the 2 services - GOV.UK Verify and self-assessment - work together for users. We’re not seeking to test our ability to handle large volumes and peaks in traffic at this stage and with this service - we’re working on that separately so that we’ll be ready to meet the growing demand for GOV.UK Verify across the range of services. We’ll be working gradually towards managing larger volumes of users and peaks in traffic. We’ve limited the numbers of users per minute throughout the trial, using a throttle that we can increase or decrease depending on how things are going. We’ve been gradually increasing the throttle over the last couple of weeks to accommodate more users. We’re hitting our agreed limit very infrequently, so only a very few people have been prevented from accessing the trial by the limit on user numbers. The trial has been going well. 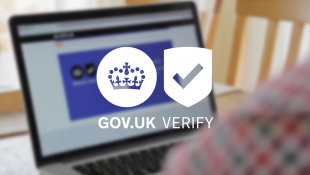 So far 3,700 people have successfully verified their identity using GOV.UK Verify as part of the trial. About 60% of visits by people attempting to verify their identity using GOV.UK Verify have been successful - this is in line with the performance of GOV.UK Verify as whole at this point. We’ve been making improvements based on feedback and data throughout the trial so far. For example, HMRC has made some changes to the way users are told about the trial within the service. The volumes of users accessing the self-assessment service tend to increase dramatically in the last week leading up to the deadline. About 10% of the total returns for the year will be filed on the 31 January deadline. As the volumes of people accessing the self-assessment service increases, we don’t want to confuse or frustrate people by having an option that’s not available to everyone all the time because our throttle is at its limit. With this in mind, we were initially planning to close the trial to new participants on 24 January, a week ahead of the 31 January self-assessment deadline. We’ve now decided to extend this to Tuesday 27 January, just a few days before the deadline, to give more people the option of using GOV.UK Verify. Anyone who has already verified their identity as part of the trial at the time the trial closes will still be able to sign in using their GOV.UK Verify credentials, right up to the deadline. This is important because many users take several days to complete their tax submission, so even if they have started when the trial is open, they will still need to sign in again to complete their submission, so we're staying open to allow them all to finish. We’re planning to re-open GOV.UK Verify for self-assessment users fully in mid-February so that people filing their self-assessment returns during the rest of the year will have the option of using GOV.UK Verify, particularly if they’ve lost their Government Gateway credentials or if they’ve already got GOV.UK Verify credentials having used it to access another service.